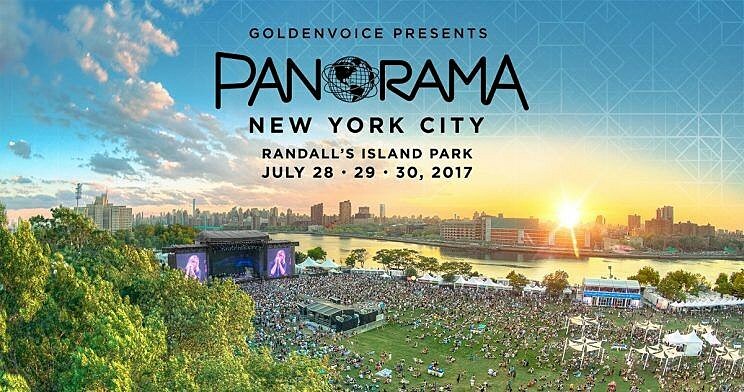 The 2017 edition of Panorama happens this weekend at Randall’s Island (July 28 – 30) and if you can’t make it to the actual festival you can still experience a little of it via the official livestream which is happening via Yahoo Music. While the full livestream lineup and schedule haven’t been announced yet, artists you’ll be able to watch include Tyler, the Creator, alt-J, Foxygen, Andrew McMahon in the Wilderness, Girl Talk, Vance Joy, and Glass Animals. Meanwhile, SiriusXM will also be covering Panorama all weekend long via SiriusXMU (Ch. 35). You’ll be able to listen to sets from alt-J, Vance Joy, Glass Animals and more TBA. BrooklynVegan will also be at Panorama 2017 which features headliners Frank Ocean, Solange, Tame Impala, Alt-J, Nine Inch Nails, A Tribe Called Quest, plus lots more. Stay tuned for lots more coverage.